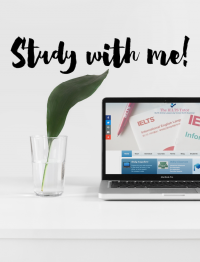 Many self-prepared candidates do not really know where to start when it comes to training themselves to speak well in the IELTS Speaking test. The most common mistake is that many just end up watching video after video of example IELTS interviews and have some sort of idea of how they should be answering questions in the test. But sadly, the very few who succeed actually PRACTISE! To help those who do not know where to begin, I would suggest having something of a recording device as well as a notebook/paper and pen with you. Step 1: Look for examples of IELTS Speaking test questions for Parts 1, 2 , or 3. Step 2: Decide what you are going to focus on first: Part 1, 2, or 3? Step 3: Have a note book/paper ready to think of ideas to say before you start practising. However, remember that you do not have this opportunity for Part 1 and 3, but it always helps to go through some ideas in your mind. Step 4: Start recording your answers, first with your notes and then without. Compare your last attempt with your previous ones. Keep recording and deleting until you are happy with your responses. If you can get feedback from an English-speaking friend, that would be better for you. Step 5: Continue doing this with other questions. The key here is to be consistent with your practice. Once you stop and neglect this, it might take a while for you to get back into the habit of answering test questions appropriately. So, make sure that you set aside some time, perhaps 30 minutes to an hour, for this.